I have visited the San Juan Islands of Washington state many times in my life. 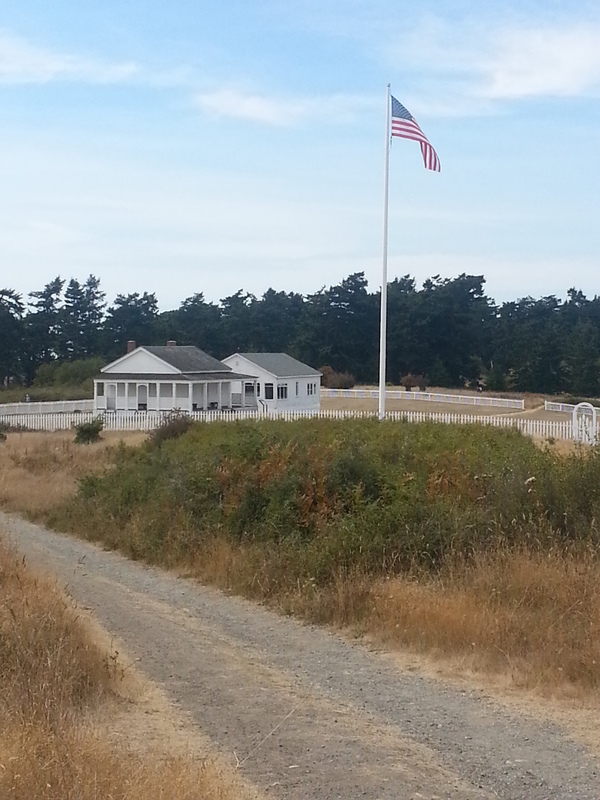 Each time, I go to the San Juan Island National Historic Park. Most people don’t know that at one time, both the British and the U.S. laid claims to this area. They actually cohabited there. The National Historic Park preserves buildings and a cemetery from both the American and British military camps. During our recent vacation, we stayed on Orcas Island. The National Historic Park is on San Juan Island. There is an inter-island ferry that runs a few times per day between the main San Juan Islands. It is an archipelago that has over 120 named islands, four of which are accessible by the Washington State Ferry system, the largest passenger and automobile carrying ferry system in the U.S. We took the ferry to San Juan Island twice, the first time for our sea kayaking adventure and the second time to visit my Seattle friend, Nancy who happened to be vacationing on San Juan Island during the same week we were on Orcas. Alas, I was unable to convince my people to get up early enough to get to a ferry that would get us to San Juan in time to explore before our dinner plans with Nancy. I even quoted the impressive statistics about our state ferry system and all I heard were snores. 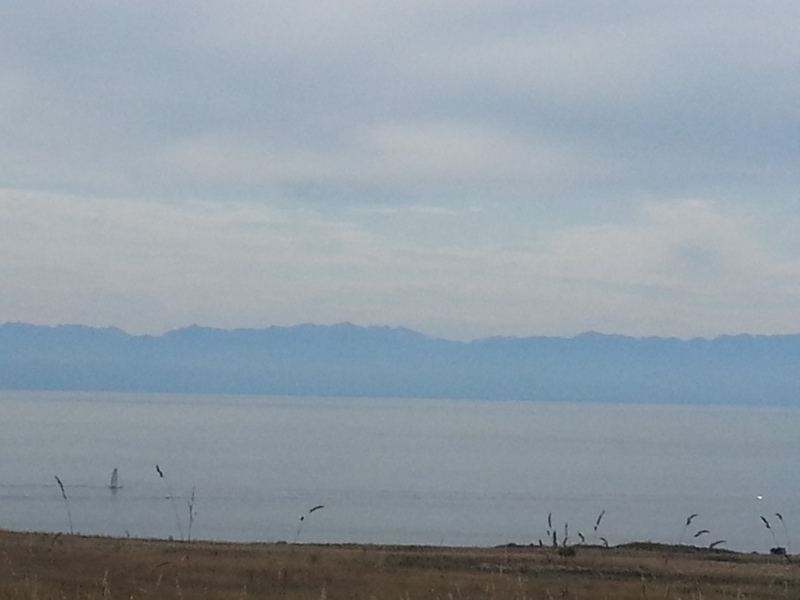 So we arrived on San Juan Island with only about 20 minutes of exploration time. 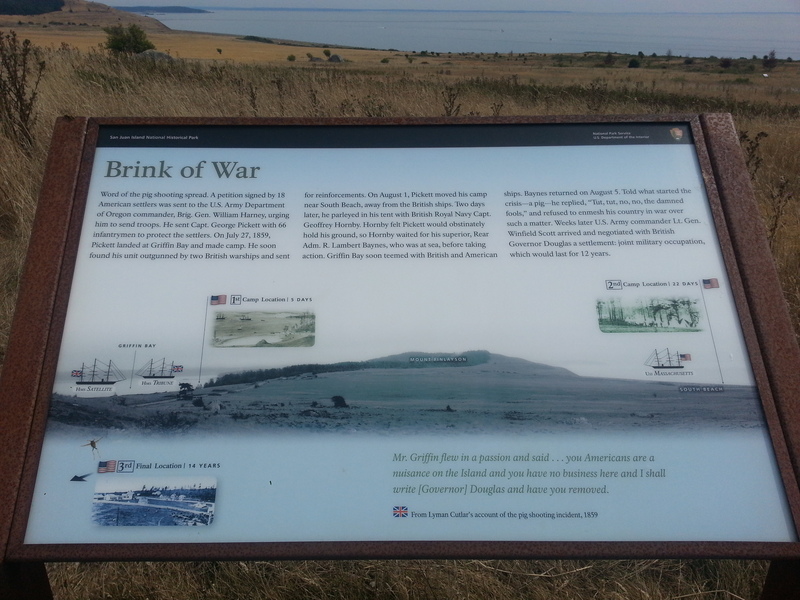 However, we were able to visit the National Historic Park and learn of what I call “The Bay of Pig“, the stand off between the British and American troops during the Civil War Era when my fair state was called the “Oregon Territories”. I will tell the story in the photographs I took during that solemn 10 minutes we had at the park. 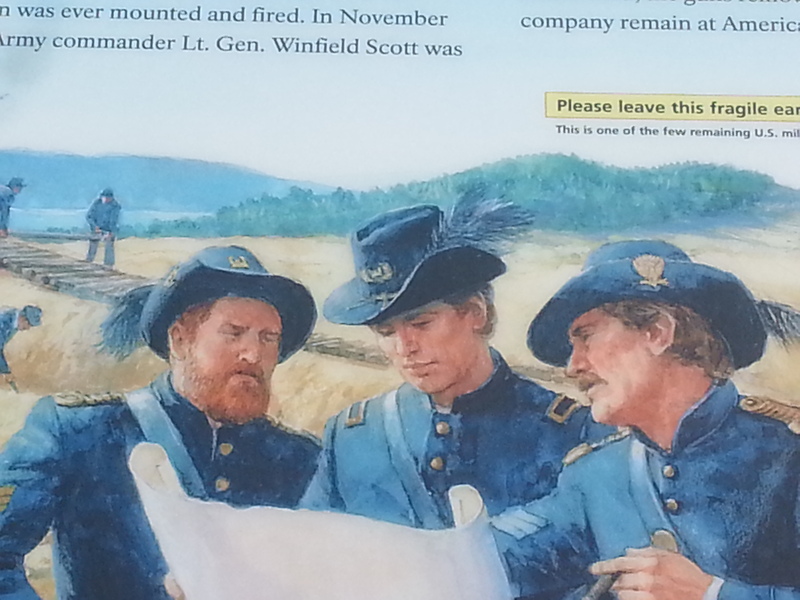 See, I told you that this was Civil War Era. Look at the uniforms! Ooh, it’s the English military building, now with an AMERICAN flag. Take that pig-lovers! Who are we kidding? Do you really think the English and the U.S. would go to war over a pig? With a view like this? Peace prevails! Yes, it’s an odd bit of history that’s for sure.